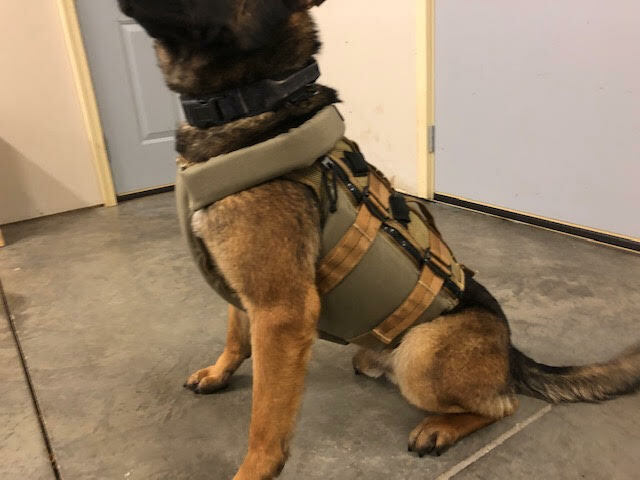 Custom Fit K9 Life Jacket "patent pending"
This patent pending K9 Life Jacket design helps your K9 maintain buoyancy in the water. 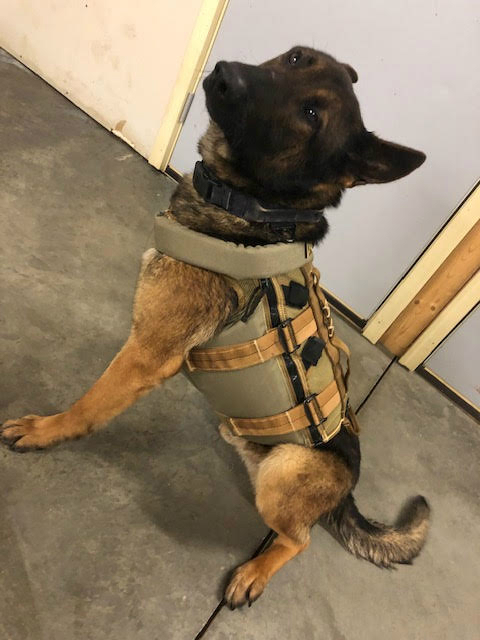 The point of difference that sets this K9 Life Jacket design apart from any other on the market is that if your K9 stops swimming, for any reason, or passes out in the water, the K9 will not lean to one side or the other. Their body will submerge while their head remains safely supported above the water. The sleek design will not hinder your K9’s mobility or agility. Two options are available: a hard sewn device or a velcro platform (shown in picture). 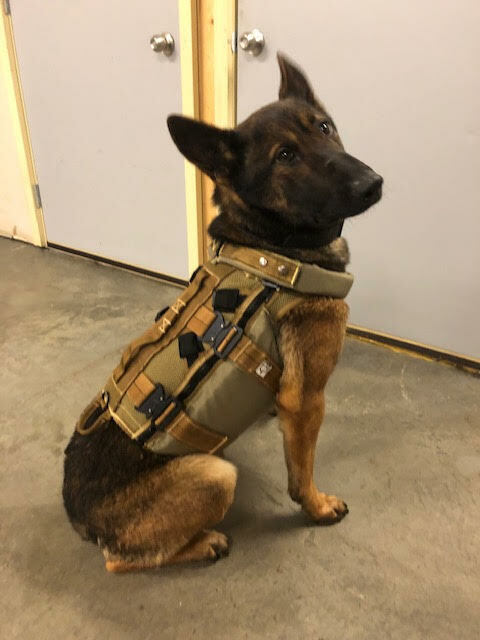 The velcro design allows the handler to utilize two systems: the life jacket and the MOD 3 harness, separately, or as one. Nothing changes from the top panel on all of the K9 Vests designed by Canine Tactical. The top panel encompasses the carry handle (with fast roping capability), a camera mounting platform, and the tracking/posting rear handle. The top panel also has areas for identification placards for any air assets. The custom fit allows for ease of mobility (sizing video issued upon deposit). All handles are made of 1" tubular nylon 4,000 lb tensile strength and each run entire length of harness for added strength. The four main straps are also made with tubular nylon with heavy-duty cobra buckles, ideal for medical emergencies and fast roping/repelling. The two zippers are made with the heaviest molded plastic on the market.